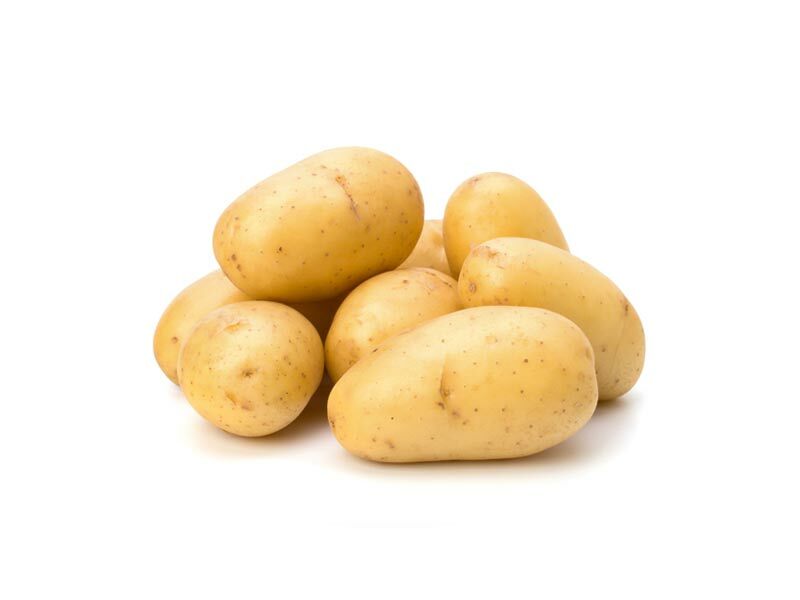 A potato is a root vegetable a small plant with large leaves. The part of the potato that people eat is a tuber that grows under the ground. A potato contains a lot of starch and other carbohydrates. 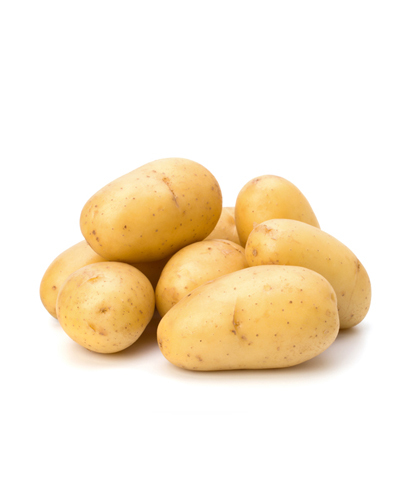 Potato usually has a brown or pink skin and is white or yellow inside. If the potato gets light on it, the tuber turns green and will be poisonous.